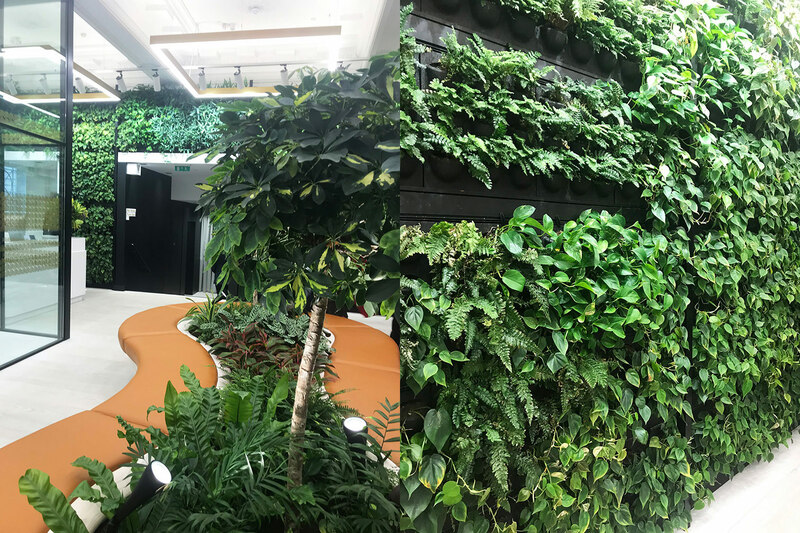 If One Heddon Street is the Crown Estate's first adventure into co-working flexible office space, then this market is in for a treat in the years to come. 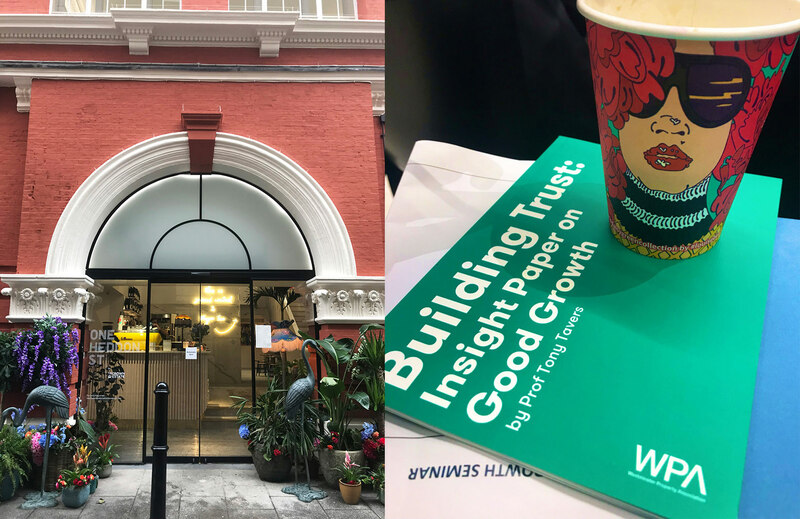 From the vibrant ornaments/flowers outside, cute café in the entrance, lush living wall and delicious #daisygreencollection coffee presented in a very fashionable #louisedear style cup, I knew I was in for a treat this morning. My reason for being there was not to work from one of its 350 work stations (though who could resist!) 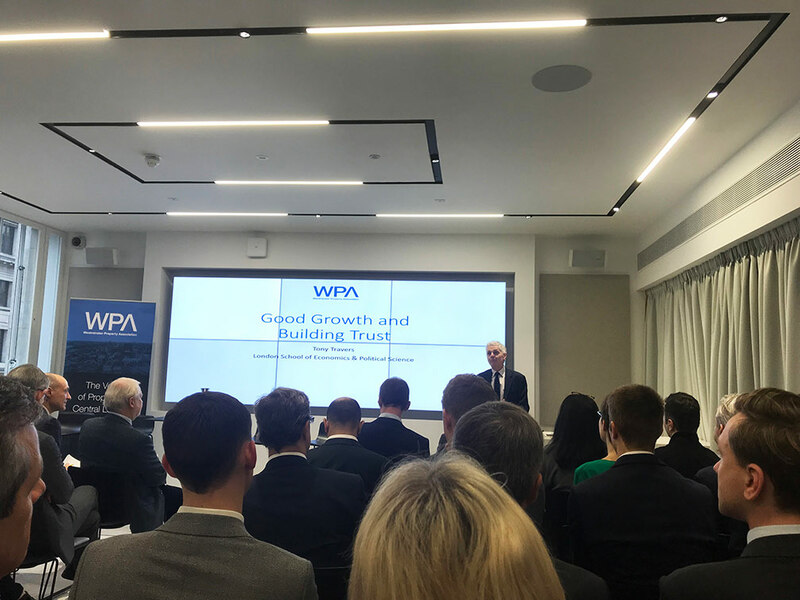 but actually to listen to the presentation and panel event organised by the Westminster Property Association (“WPA”) on Professor Tony Travers’ report “Building Trust: Insight Paper on Good Growth”. Understanding London: To understand the stresses and pressures on London’s property market let us take one incredible statistic based on the scale of economic activity by area. The GVA (Gross Value Added) of Manchester is £1,571,400 per hectare whereas the GVA per hectare of the City of London alone is £204,017,200 – remember that’s just one part of London. (For interest, Westminster’s GVA is £27,496,300 per hectare and Camden’s GVA is £14,808,000 per hectare). London therefore, is some of the world’s most productive land. But alongside its status as a “global city”, it is also a home to millions and it is balancing this which the planners and the developers need to focus on. Positive Promotion: Profit is a driving force in any business and the word needs to be cleaned of its connotations of greed (which it has picked up again in the fall out of the financial crash). However, in a city of great contrasts, with extreme wealth sitting alongside real poverty, it is no wonder that with developers physically erecting large and shiny new buildings with large price tags they are being perceived as reinforcing this inequality. What the public do not see is what developers give back in return. With the retreat in local government finances, developments now fund provisions which would historically have been paid for out of general taxation. Social and affordable housing, railways, highways, children’s centres, street improvements, public art and healthcare facilities are now all funded by levies on property i.e. Community Infrastructure Levy (CIL) and s106 payments (the negotiations of which are invisible to the public). These are vital sources of revenue and greater publicity should be given to what contributions developers are giving back. Openness and transparency in the planning system: The rate of responses to planning consultations is incredibly low and is in part a failure of the planning authorities to provide information that is penetrable to the general public (remembering that silence is not necessarily consent). As Deidre Armsby (the Director of Place Shaping and Town Planning at Westminster City Council) said, all applications for planning permission should be able to say on 1 page, simply and clearly (no matter how big or small the development) why it should be granted. More realistic opportunities for residents and businesses to influence the outcomes of the planning decisions is essential because they are the real local experts. Engaging them early would help to prevent community perceived deficits in the developments. Who gains from the development: Matthew Bennett MBE (of Soho Society and West End Community Network) identified the key first question on any development “Who gains from this development?” Of course, developers will make a profit but what/who else – the environment can (with the introduction of energy efficient and clean buildings) but most importantly it should be the local community. Once they suffer with the planning blight and physical disruption to their lives from the works, consider how they benefit in the long term and build this into the programme. Be honest: Address the elephant in the room of developer profit (it’s a business after all!) but more importantly as a developer, explain how you plan to reduce the dis-benefits from the development (noise, deliveries, night time operations, street works etc) and clearly show how the local community can share in the benefits. Locals are often cynical to development because promises are made which are then not delivered – only offer up what you will actually see through! I left this presentation with an even greater appreciation for what developments give to the community and only hope that local communities can in the future, through better communication, feel as enlightened and grateful for the positive changes that will be made. Sarah is an associate in our Commercial Real Estate team. "A solid and well-established firm, particularly on trust and probate disputes."